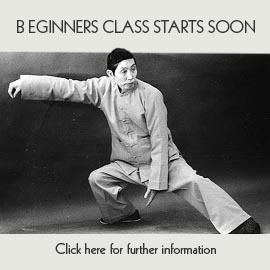 I rarely cite whole articles from other sources in teaching but a topic that has arisen in 2019 so far is the use of the eyes in Tai Chi. The eyes are said to express Spirit (Shen) and Intention (Yi) when doing Tai Chi meaning the Spirit shows aliveness and Intention shows awareness and content of the Tai Chi being done. This is important in the same way when we meet people inn life we looks to their eyes for a number or reasons maybe to check that they are engaged with us when we speak; to identify their sincerity in responding to us and also to maybe see register the quality of their conscious mind which is usually in Chinese Medicine and Internal arts referred to as Shen Ming ( quality of consciousness). Dr Chi Chiang-tao said that the eyes can assist us in leading our intention when we do form and Push Hands and that with the mind we can mobilise the whole body movements on a deeper level. So from Peter Lim’s wonderful website on Tai Chi I present a short article on how the Yang Family style of Tai Chi views the use of the eyes in Tai Chi, and I hope this increases our vision in all aspects of practice of our Tai Chi too. The eyes should look forward levelly. In normal circumstances, the eyes look levelly forward, looking through the hand in front towards the front, caring for the hand, but not fixed dead on the hand. The eyes can also look downward to the front, it must follow the boxing posture’s main hand movement and so determine the direction to look. The expression of the eyes is in accordance to the movements, the principle of the eyes’s turning follows the body’s movements. The body moves the eyes follow, the body faces what direction, the eyes gaze towards that direction. Taijiquan’s practice has continuous forward advancing backward retreating left and right turns, when forward advancing backward retreating, left turn right rotate depends on the waist and body turning, the eyes in left looking right glancing must follow the waist and body’s turning to turn. The eyes and the intent are consistant. The eyes are the mind’s focal point, what the mind is considering, the eyes is concentrated upon, if the eyes and the movements are not in accordance the internal and external are also not in agreement, the usage of the eyes have an important use in push hands, necessary to observe the opponent’s upper and lower portions, closely observing the direction of movement of the opponent’s back, in the course of movement catching hold of the opportune time to cause the opponent to be in a predicament. The method of the eyes must be natural. When utilising the eyes, do not stare, do not close the eyes, keep the spirit held within. The correct use of the expression of the eyes has a relationship with the energy at the top is light and sensitive (xu ling ding jing), the energy at the top is light and sensitive, then the spirit can be raised, then the eyes will naturally have expression.